Summary: What happens when an intruder from the sea stakes claim to your bathtub? A cool yet demure teenage boy named Tatsumi must learn to live with the self-obsessed and playful merman, Wakasa, in a small Tokyo apartment. These two dissimilar young men will learn what it takes to deal with one another in their everyday lives. Who knows, maybe something beyond friendship will unfold between them? Stranger things have happened. Or have they? I read the whole volume in one sitting, on my laptop. I usually try not to read too much off my laptop screen because my eyes are bad to begin with (note the coke bottle glasses haha), and it tires my eyes out. But I just couldn’t stop reading this manga! Also, I can’t afford to buy it in paperback just yet, but you can bet that I’m going to get the whole translated series once my next paycheck comes in! The story is fluffy and cute so far, although there’s certainly room for some drama and romance in later volumes. But I liked how light, and funny it was to read. I was literally sitting and giggling by myself at 3 AM last night. There are also hints that the plot may lean toward a “boy love” one. Which I of course would have no objections to (but would actually adore! *boy love advocate*). And so far, all semi-romantic moments have been PG, or if you want to be safe, PG-13. I really enjoyed the characters also. They’re each unique in their own way, and their personalities are very assorted. It was great fun to watch all of said personalities interact, and mesh, and clash. The characters’ personalities are also multifaceted, and you will see different sides to each character, depending on the situation…which I think is really great, considering how fluffy this story appears on the surface. The illustrations are great! They’re 50% gorgeously rendered, and 50% funny and cute. I definitely had a stupid smile on my face, the entire time I was reading this manga. Also, if manga is not your thing, there’s an anime adaptation which you can watch instead. I started watching it after finishing the manga, and while it’s slightly altered, they kept most scenes, and the episodes are as short as the scenes in the manga (4 minutes long, including the intro song).The animated version also stays true to the illustration style of the manga, which is always good, and it also splits into 50% impeccable beauty, and 50% hilariously adorable. It’s very cute, and it’s definitely nice to see everyone in colour! I cannot wait to read the next volume and find out what will happen with Mikuni, Tatsumi, Wakasa, Takasu, and Maki (in the order as shown above)! If you need a mood booster, or just feel like smiling, I highly recommend this manga and / or anime! Note: Sorry about all of the images, haha. They’re all just so pretty! THANK YOU FOR READING MY REVIEW! HAVE YOU READ Merman in my Tub (Volume 1) BY Itokichi? WHAT DID YOU THINK? AND IF YOU HAVEN’T READ IT YET, DO YOU WANT TO, OR NOT? HOWCOME? It was great! Highly recommended! 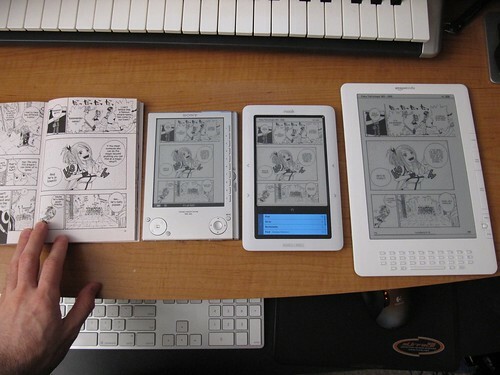 I never realized you could get graphic novels as ebooks! That’s AWESOME! Yeah! They have them on NetGalley too! This is not a genre that I would normally read, but I am always looking to read something outside of my zone. You make this sound so interesting, and accessible (you read it on your laptop), that I may give it a go. Certainly added to my tbr list. How did you read it on your laptop? I can only find the paperback version available to order online. Thank you so much for your comment! And in glad that you plan on reading it 🙂 it was funny snd enjoyable! haha not a big fan of BL but this one seems to be soooo funny and cute!! Will check it out! Yesss it’s very cute and aesthetically pleasing 😀 I’ll have to check if there’s any new episodes or chapters available since I posted this review!